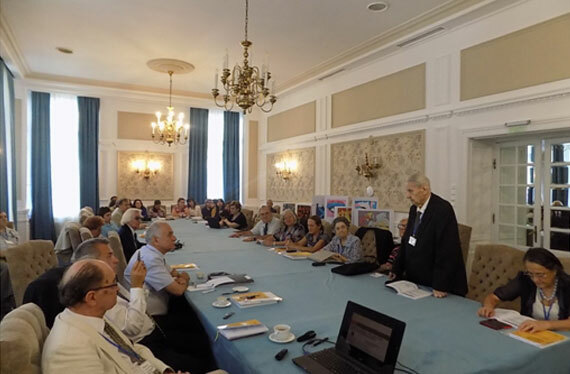 Am fost invitat să particip la lucrările celui de-al 41-lea Congres al Academiei Româno-Americane (pagina evenimentului, aici), organizat la Sinaia, între 2 și 5 August 2017, sub înaltul patronaj al Domnului Academician Constantin Corduneanu. ”First there were the magnetic and electric fields, then life appears on Earth. The terrestrial magnetic field is about 50 μ Tesla around the parallel 45 and the electric fields are about 150 V / m in clear days, while during storms, may exceed 10 kV / m. These fields are fundamentally static, but man by nature is in constant motion, which can give these natural fields a variable character, relative to the human subject. Today, the entire spectrum of electromagnetic radiation of non-ionizing radiation is increasingly being used, becoming insufficient, overcrowded, even in the more "rarefied" area of tens GHz. At the same time, the growing use of the most diverse domestic and industrial consumers is accompanied by the generation of relatively intense electric and magnetic fields, even if they are of low frequency, so having a negligible potential for propagation. There is a general concern that supports solid scientific concerns, researchers in the medical, biological and electrical and electronic engineering domains, with reference to possible negative impacts of these fields on the human health. Norms developed by internationally well-recognized bodies, ICNIRP, WHO, IEEE, impose limits for any emission, having the frequency anywhere in the non-ionizing spectrum. In the overwhelming situation where a typical inhabitant of the planet can be found, the "individual" limits, taken separately, are not reached. However, due to the almost borderless diversity of the electromagnetic fields in which a human's life unfolds, it is important to develop models that accurately estimate the values of the current densities that the environmental electromagnetic fields induce into the human body. In this lecture, I will present my researches and proposals on a cumulative assessment of the simultaneous effects of the various low frequency electric and magnetic fields as well as of radio frequencies on the human body. 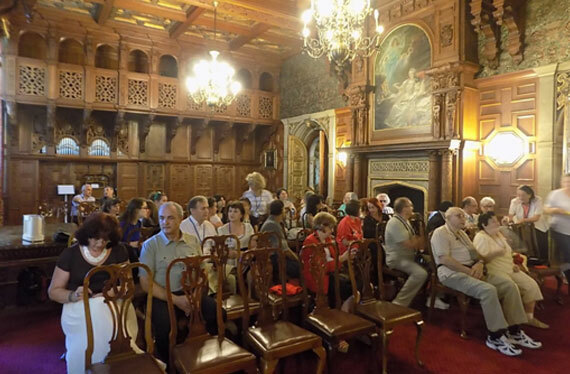 Majoritatea lucrărilor s-au desfășurat în Hotelul Sinaia, unele evenimente ale Congresului fiind organizate în Sala Mare de Muzică a Castelului Peleș. La ceremonia de încheiere a lucrărilor, am primit din mâna Președintelui de onoare al Congresului, Acad. Prof.Dr. 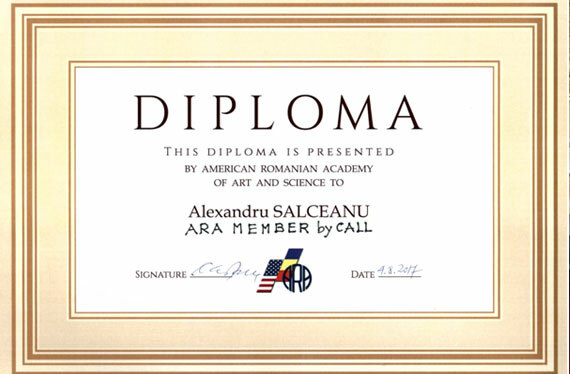 Constantin Corduneanu, diploma de membru (by call) a American Romanian Academy of Art and Science.